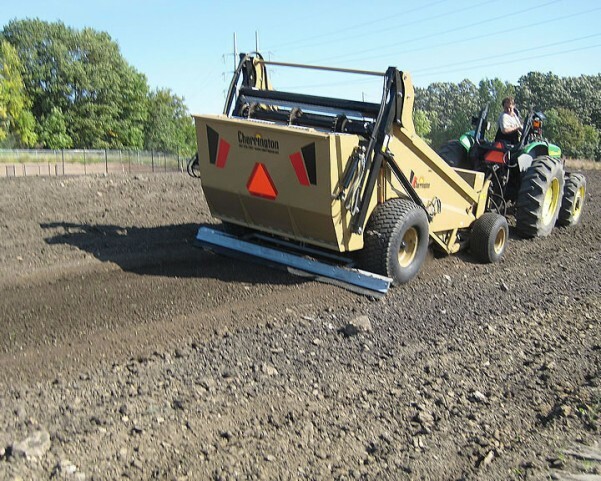 With the 4500 Series you can get the job done in a single, cost-effective pass - when you power-screen you get it all the first time! 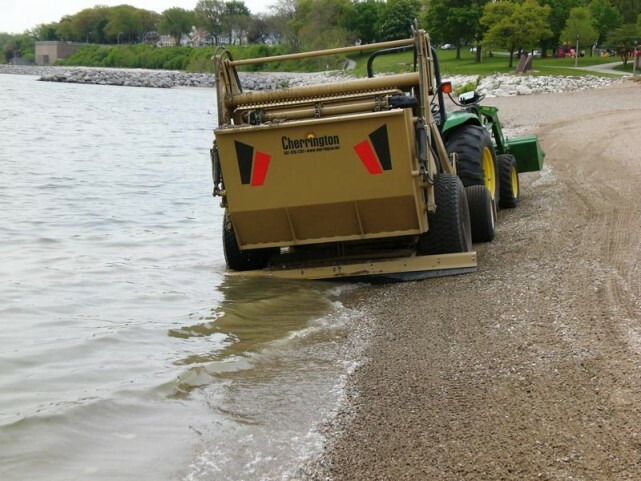 The Model 4500XL is designed to make the job quick and easy whether you are doing beach cleaning, seedbed preparation or horse track maintenance. 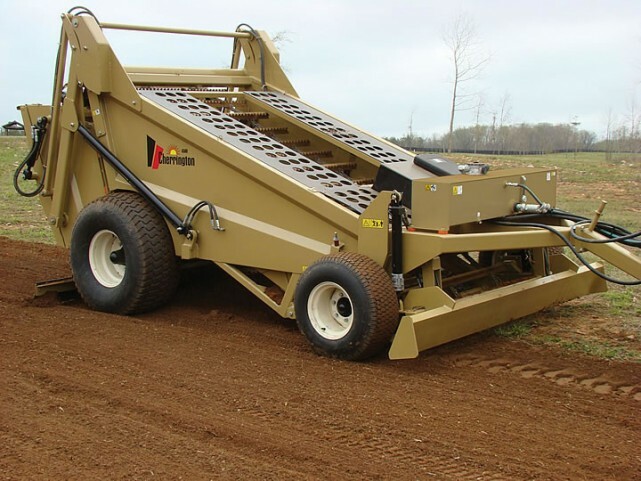 The Cherrington 4500 Series is fast, rugged and dependable with only 3 bearings and no revolving belts or tines for amazingly low maintenance and long life. Carbide glide pucks for long life and smooth, quiet operation. 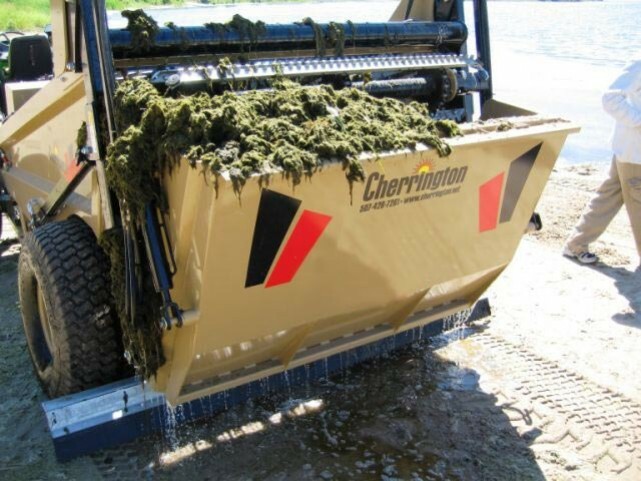 The Cherrington 4500 Series uses an advance engineered hydraulic system to power a single, non-rotating sifting screen for superior screening results. 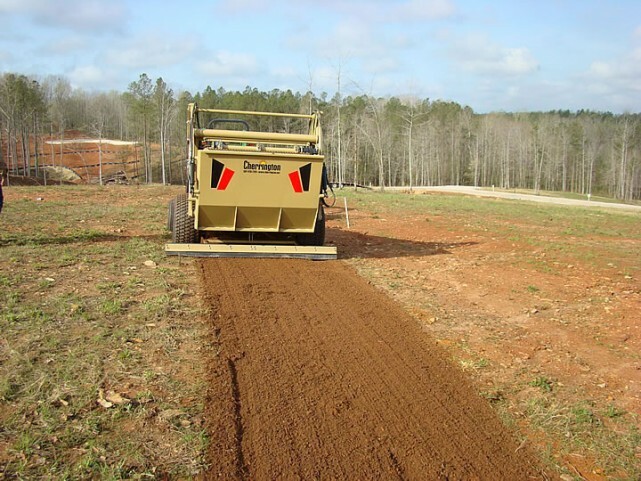 For landscaping and golf course construction, Cherrington offers an optional pre-screening powered roller for soil preparation on the Model 4500XL. 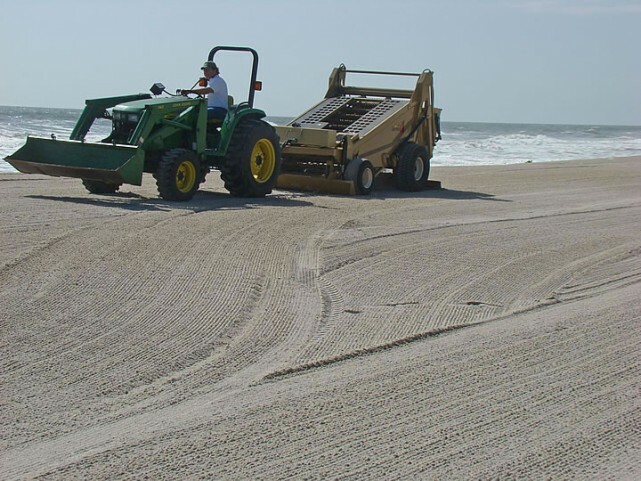 The roller is designed to loosen rock, roots, sod and old turf for immediate screening and removal while making a perfect seedbed in one pass. 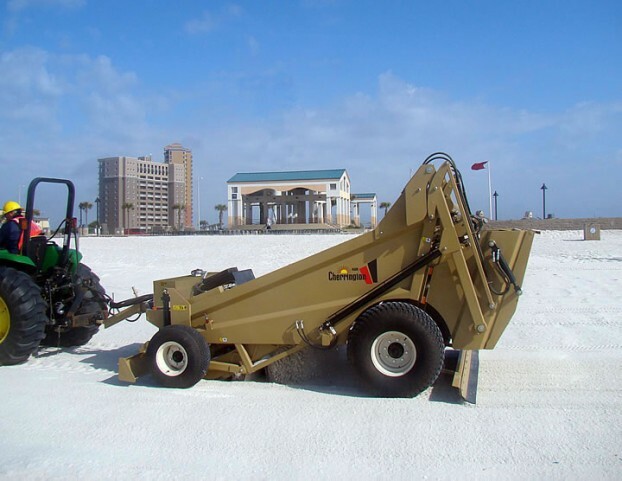 Cherrington Model 4500XL Beach Cleaner / Mobile Screener ships standard with a 3/4” (19mm) screen-hole size, oil tempered hardened woven wire screen installed and a 1/2” (13mm) screen-hole size, oil tempered hardened woven wire screen included. Optional screens, which may be substituted, include oil tempered, hardened woven wire screens in the following sizes: 3/8” (9mm) or 1” (25mm). 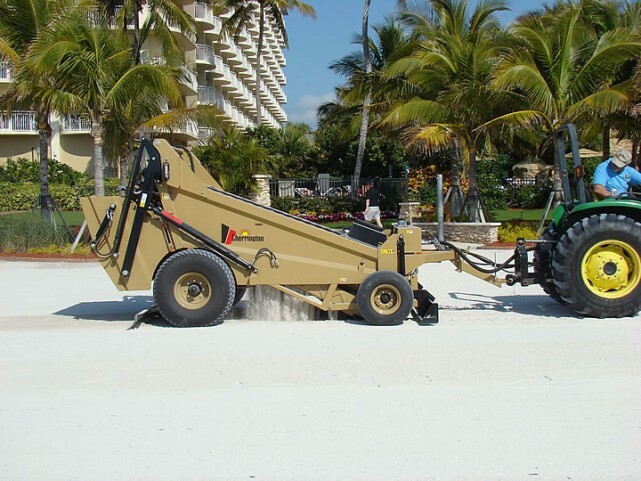 The difference between the two models of this series is that the Model 4500 is a ground dump machine and the Model 4500XL has a high lift hopper that reaches to 102 inches (2,591mm). 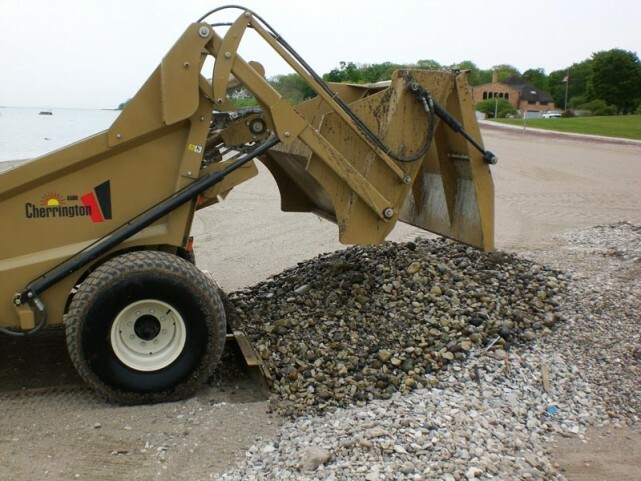 Screen Depth: Up to 6"
Hopper Dump Height: 4500: Ground; 4500XL: 8'6"
Flotation tires are recommended and hydrostatic drive preferred. 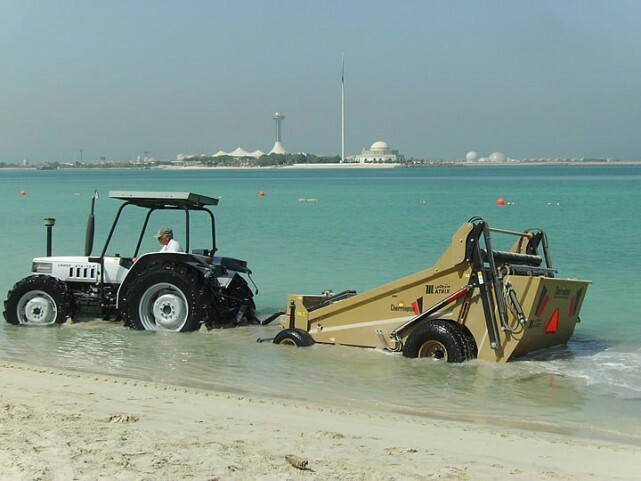 Note that sand and soil conditions can vary and all tow vehicles much have sufficient traction and flotation for the particular sand or application in which they operate.